As an associate in Taft’s Commercial Litigation practice, Donnell regularly represents individuals and business clients in all aspects of the litigation process. In response to today’s ultra-competitive job market and tech-driven lifestyle, he focuses his practice on the increasingly pertinent areas of non-compete litigation and privacy and data security issues. Donnell has trial, arbitration and mediation experience in state and federal courts throughout Ohio. His general litigation practice has focused on municipal law, personal injury, product liability and complex commercial disputes, including misappropriation of trade secrets. An active member of Taft’s Cincinnati office and the Cincinnati community, Donnell serves on the board of FotoFocus Cincinnati and on the membership committee of Downtown Cincinnati, Inc. He is also a member of the the Black Lawyers Association of Cincinnati and Federal Bar Association. 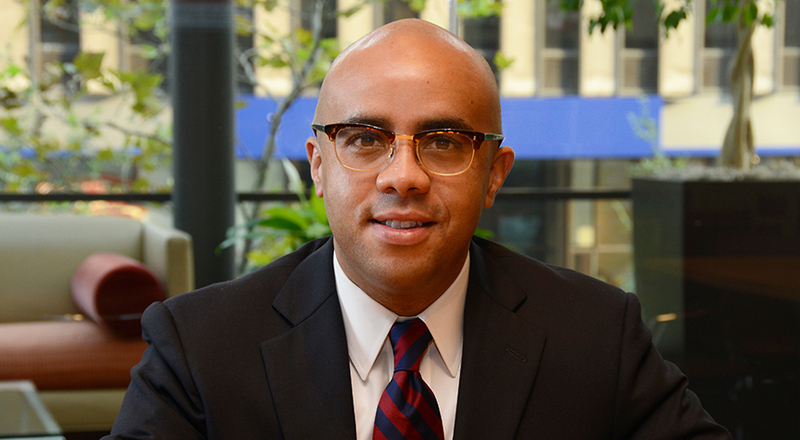 Donnell was selected as one of Taft's two delegates for the Leadership Council on Legal Diversity's Pathfinder Program 2019. Donnell received his undergraduate degree from the University of Southern California and earned his J.D. from Vanderbilt University Law School, where he was a member of the Vanderbilt Journal of Transnational Law.